Taking Out Braids + Halloween Costume Idea! After having her braids for five weeks, Andrea takes out all 162 braids out. Over the span of 3 days and a total of 25 hours the braids are finally out. Important things to know: Hydrate your braids and scalp to avoid breakage of your hair, stimulate growth and overall health of your hair! Also if you are also taking out your braids it can be a tedious task so get some good music on or a Halloween movie(s) and make the long process more fun! Now once your hair is out of your braids do not let your new hairstyle go to waste make Halloween costumes out of it! Andrea’s hair was as if it was crimped and she hose the perfect costume to go with her new hairstyle: a lioness! She made an exaggerated cat eye and even put in color contacts for the full effect. The first Jack-o-Lanterns were actually made out of turnips and beets instead of pumpkins! It is the second grossing holiday behind Christmas! Trick or Treating evolved from a Celtic tradition of leaving candy out on Samhain. From the Celtic holiday Samhain comes the term Samhainophobia which is the fear of Halloween! If you see a spider on Halloween it is supposed to be a deceased loved one looking out for you. The pilgrims started the black cat superstition! There are several names from Halloween: All Hallows Eve, Samhain, All Hallowtide, The Feast of the Dead, and The Day of the Dead! The correct spelling of Halloween is actually Hallowe’en Halloween dates back to 2,ooo years ago The colors of halloween are orange and black because orange represents harvest and black represents death Cats are believed to protect witches powers For me Halloween is my favorite holiday! You get to dress up as your favorite character and get free candy! The whole month of October is devoted to it, you have jack-o-lanterns out on everyone’s front porch, there are fake spiders and ghosts hanging on trees, and everyone is in the “spooky spirit”!! I can understand why Halloween is more popular than Valentines day for this reason! If you are having trouble thinking of what you should be for Halloween here are my five all time favorite Halloween costume ideas!! Who doesn't like this Halloween movie? It is by far my favorite halloween movie ever made! And one way to show that is by being the Sanderson Sisters with two of your closest friends! And maybe have a black cat stuffed animal too (if you have seen the movie you will understand)!! One of the easiest costumes to put together is Joel Goodsen’s from Risky Business! All you need is an oversized button down mens shirt, white shorts, white calf socks, and black sunglasses! 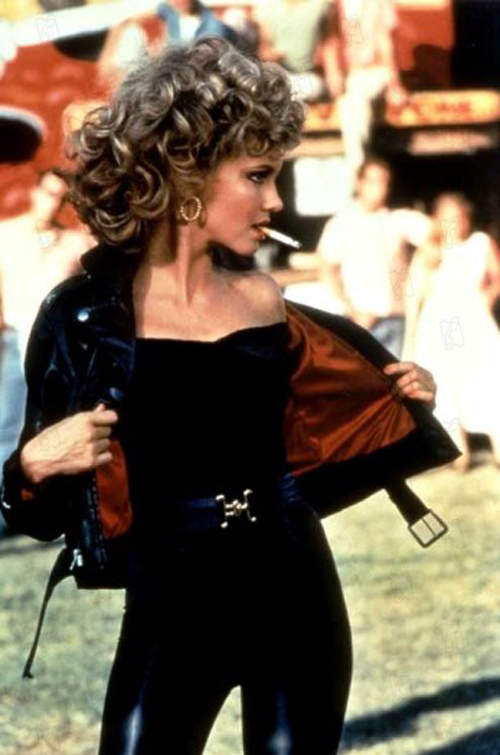 You can either be Sandy in the beginning of the movie by wearing a yellow poodle skirt a white blouse, and saddle shoes or Sandy at the end of the movie in leather pants, a black crop top, and red heels! Go from singing Tell me More to You're the One That I Want! And maybe get your boyfriend or husband to be Danny! When this music video was released everyone went crazy and people still go crazy for it! 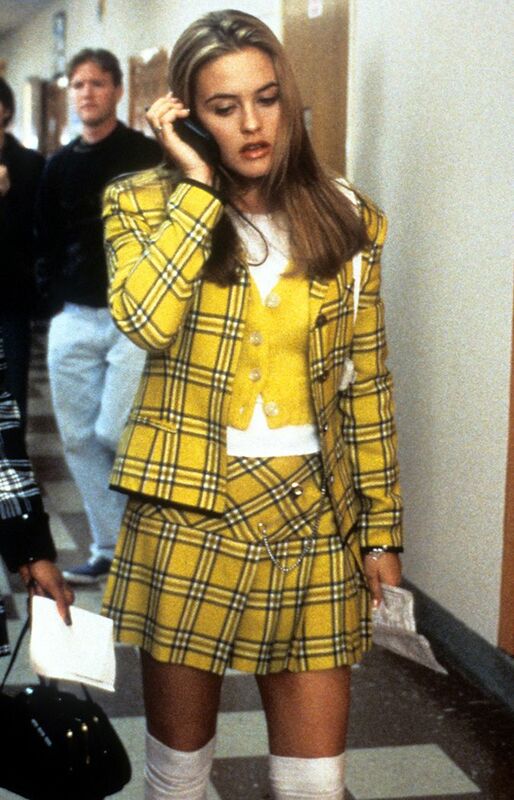 It is so simple to recreate this outfit, all you need is plaid skirt, white button down tied, and two braids! I hope you all have a fun and safe Halloween! !